shall be writing for one of our food posts! I wouldn't exactly call her a "Guest Blogger" because this is technically her blog too, but this is the very first time my wife, Rina is taking the reins not just as photograher, but as writer as well! I hope you enjoy her first food adventure! 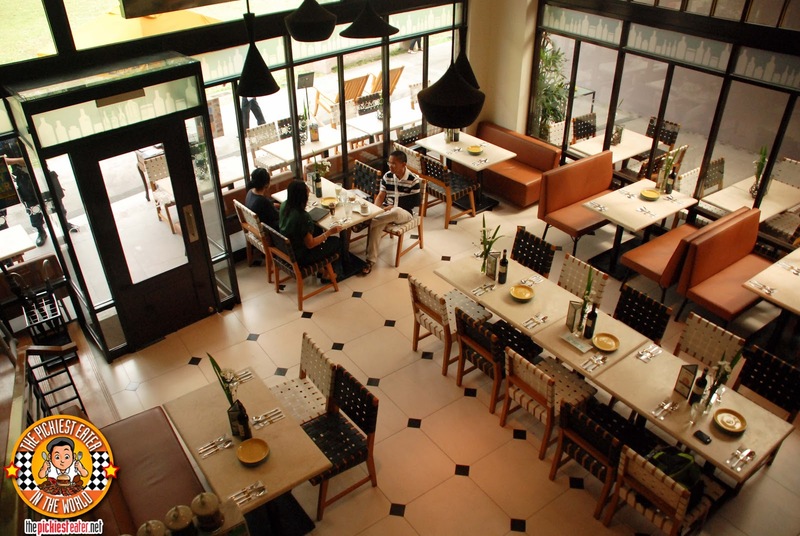 We have been to Momo two times last year. I remember I was still pregnant at that time. I vividly remembered that night because Richie was late, because he had just came straight from work. This was in Eastwood branch and I was with my cousins. I ordered for him the Roasted Beef Fingers, which I was sure he would enjoy. Unfortunately, it only was only when he arrived that we saw that they had bacon slabs in the menu. It would be safe to say that he was not pleased. The second time we went, was to finally try the bacon dish that had eluded him, which we both enjoyed. 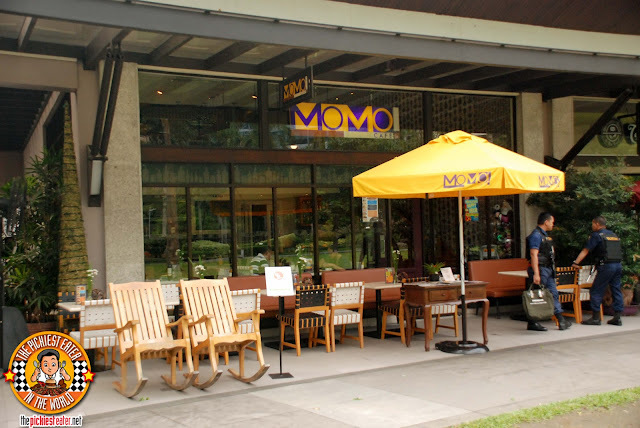 Recently, we were fortunate enough to taste their other dishes this time at their branch in Ayala Triangle. Unfortunately, Richie had work so of course, Mrs. Not So Pickiest Eater (me) was the one to represent. We started with the MoMo! 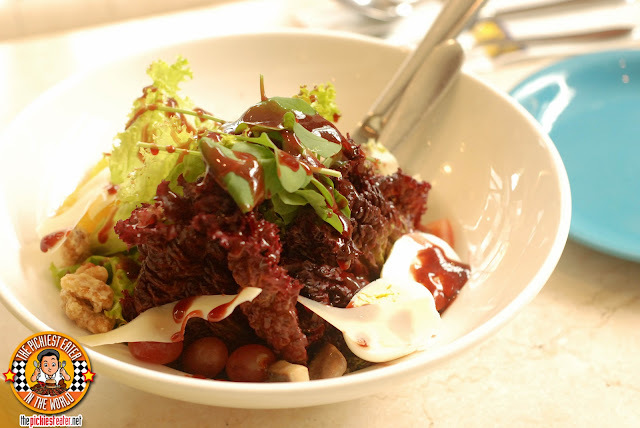 Gourmet Salad (P295). The Raspberry-Balsamic vinaigrette was sweet but balanced perfectly with the freshness of the greens. Then add the roasted garlic shitake mushrooms, the candied walnuts for that extra crunch, white cheese, arugula mixed greens, sliced oranges & hard boiled egg. It can be a meal itself (For anyone else aside from Richie, of course)! Beef Tapa & Crispy Pork Garlic Cheese Fries (P225) is all kinds of yummy! This is the type of food that is right up our alley! Any cheesy fries is good to me! 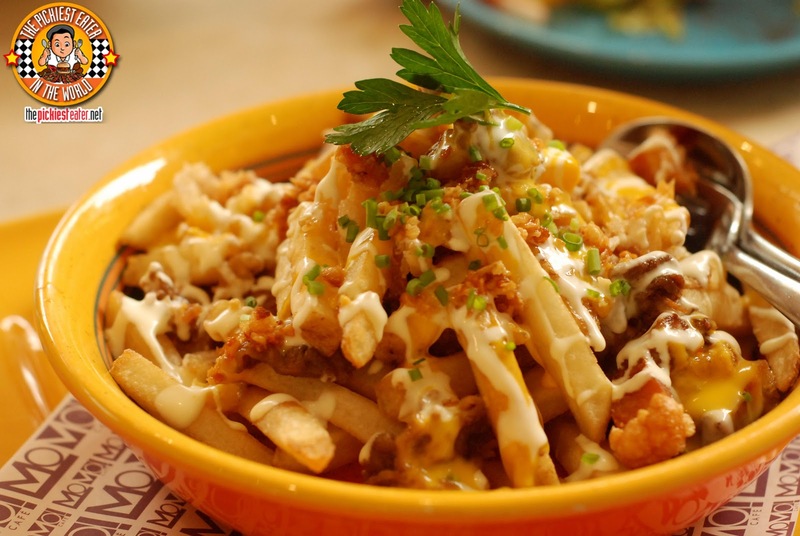 But if you add in thin strips of beef shortplate and then little chunks of crispy pork garlic, sour cream, cheese sauce, and spring onions, then that’s like the King of all garlic cheese fries. It’s actually closer to Poutine than just "cheesy garlic fries". This is one of those dishes that you wish you weren’t sharing with other people! 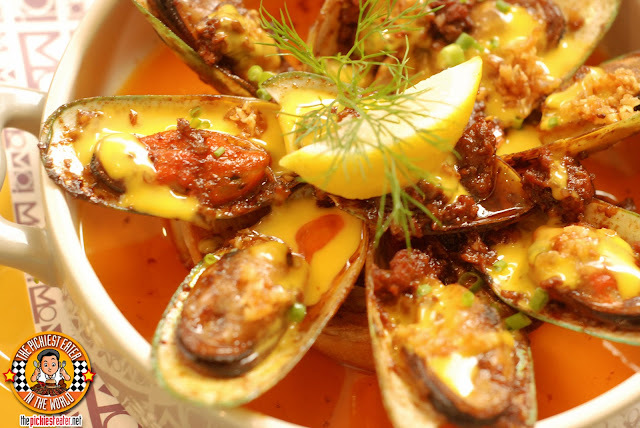 The next dish served was the Roasted “Beerhouse” Blue Mussels (P275). I would love to order this again the next time we go to MoMo because I know I don’t have to share this with Richie (haha!). He’s not a mussel person, but I am, in one condition: It has to be baked and covered in cheese. And lucky for me, this is precisely how this dish is done. Sigh... Just look at that melted butter and garlic cheese sauce in perfect harmony. Oh I’ll be dreaming of you tonight! Call me strange, but I don’t usually like pepperoni pizza. Most of the time the pepperoni slices are dry and stiff. 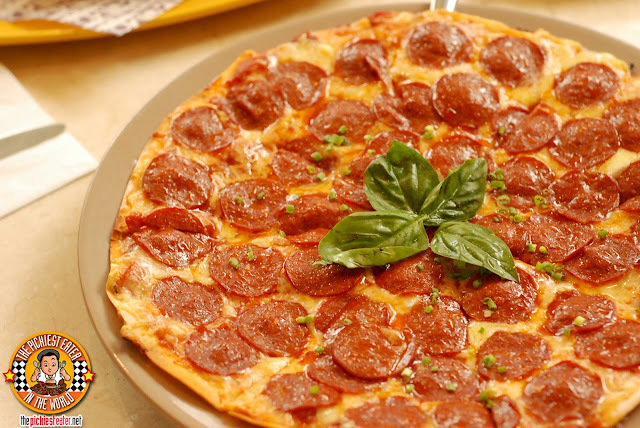 But MoMo’s San Francisco Super Pepperoni Pizza (P395) made me look at pepperoni pizzas in a different light. The pepperoni slices are super juicy and super flavourful. It’s made with tomato ragout and mozzarella cheese, and of course pepperoni (duh hahaha). Definitely a super main course that everyone will enjoy! I can safely say this is the best pepperoni pizza I’ve tried so far. One of my favourite dishes is pasta. 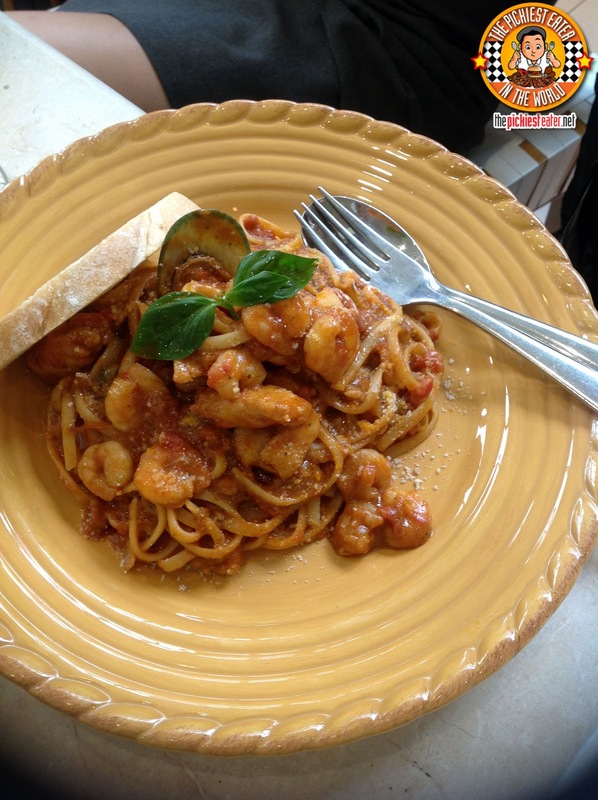 And I would definitely put MoMo’s “San Francisco Style” Seafood Pesto cream Linguine (P395) in my top list. It was my first time to taste a creamy pesto but tomato based pasta sauce. Now I am regretting writing this review at 10 PM. Stomach grumbling now. 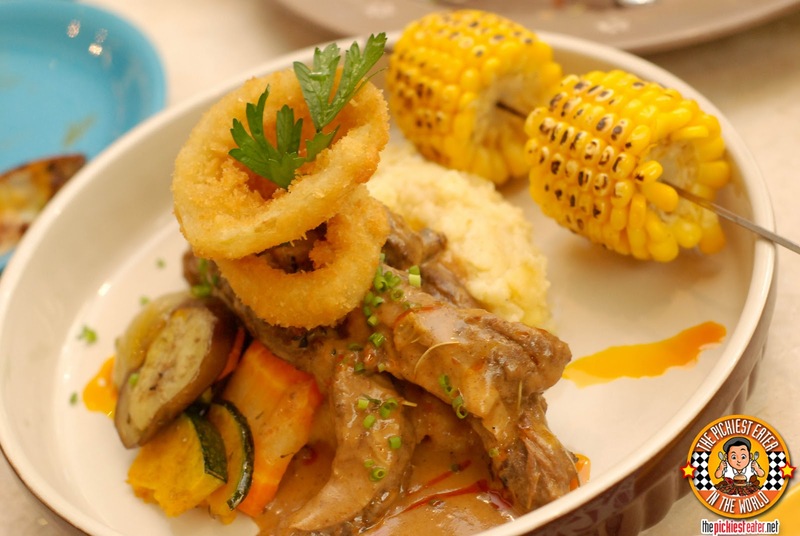 Momo's Slow Roasted Herb US Roast Beef Fingers (P495) were soft as butter! It melts in your mouth with this amazing mix of flavours from the garlic confit & super creamy au jus! Everything in the plate is just cooked perfectly that even the vegetables were really delicious! I could eat the veggies with plain rice and I’d be happy. Knowing Richie, his definition of "sharing a dish" would mean that he gets the all meat and I get all the veggies. True story. Heheheh. It was a fantastic line up of dishes savory dishes! And now off to their scrumptious deserts! 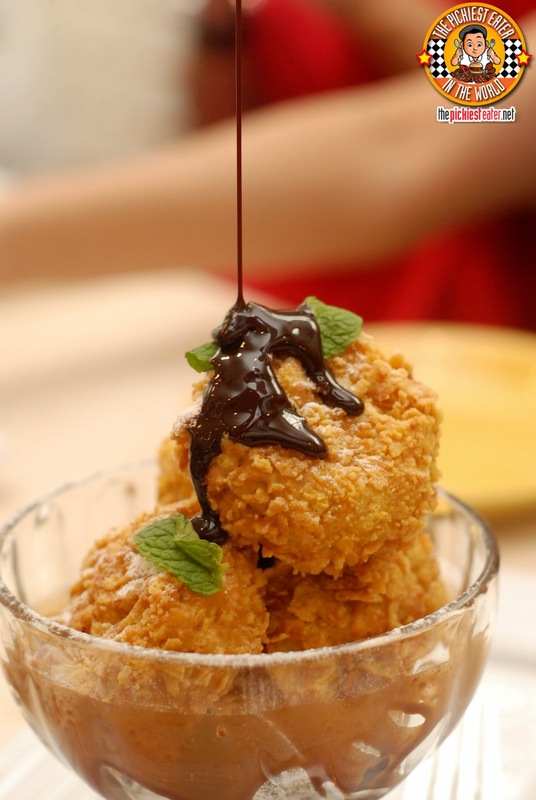 When you dine here at MoMo you definitely have to save room for desert. There’s always room for desert. Or else you would be kicking yourself if you failed to try their MOMO Deep Fried Oreo & Cornflakes (P175). What doesn’t sound good about this desert? Come on! Deep fried, Oreo, and cornflakes! Winning! Oh, and drizzled with chocolate sauce. The cornflakes give a good loud crunch to every bite! 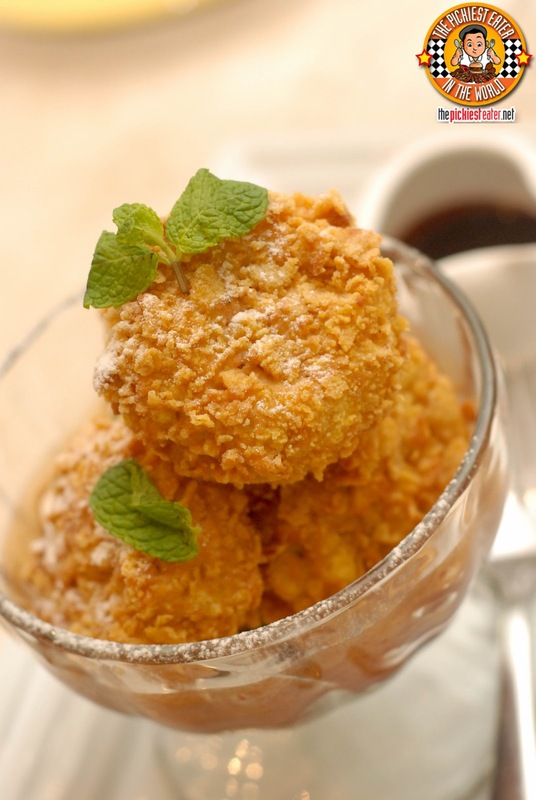 If you want something light for dessert, you can try their Milo & Mamon MMMMmmm Good (P175)! This is your childhood in a plate. I grew up drinking Milo and I also happen to like the lightness of mammon. 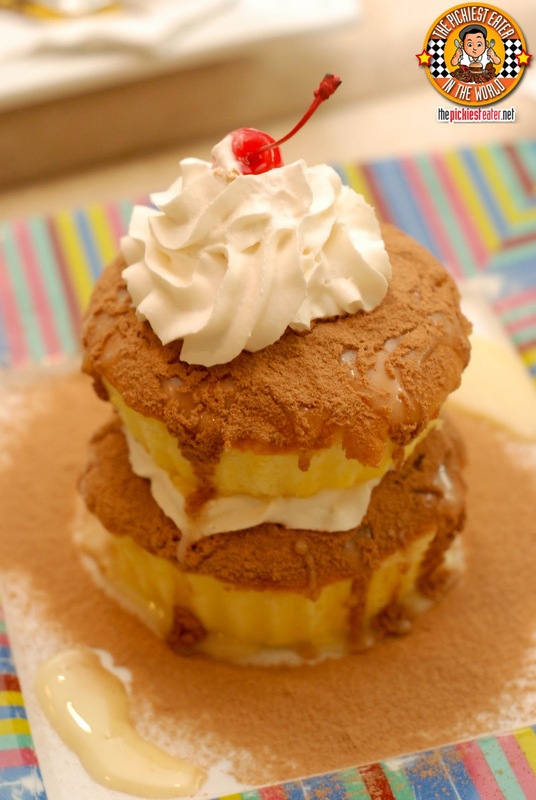 It’s a simple concoction of mammon with Milo powder, condensada, and topped with whipped cream. Very simple but for sure the kids (and the child in you) will enjoy sharing! Going back to MoMo just made me wonder why we haven’t gone back in a year. If you’re craving for the comfort food classics but on a whole new level, come to MoMo cafe. And I’ll bet you you’ll have a hard time placing what to order since everything looks really good! Rina just proved that she's not just a great photographer but also has a promising career in blogging.haha Nadagdagan na nman ang mga IDOLS ko. :D I love u RinaZ and RichieZ!!! Haha we love you too Zai! the Beef Tapa & Crispy Pork Garlic Cheese Fries looks damn good and sinful! Great job, mrs. pickiest eater :D *clap clap* looking forward to read more entries from you soon.